Cheers! 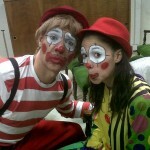 We have Clowns for Hire in different regions of the UK. Our famous clown shows and circus themed parties for kids include a wide variety of activities like jokes, silliness, hilarious games, magic, balloon modelling, juggling, puppets and lots of laughter! Enjoy with your kids in any event, christening, birthday party, communion, 1st birthday, school fete or corporate event with our silly clowns and packages! We cover the most important areas in the UK like Birmingham and the West Midlands, Merseyside, Liverpool, Greater Manchester, Essex, Surrey, Kent and London bringing joy to children’s parties with our funny clowns for hire. Our AEIOU Kids Club clowns for hire will go to your venue of choice, open space or even your own home to perform and entertain your kids! 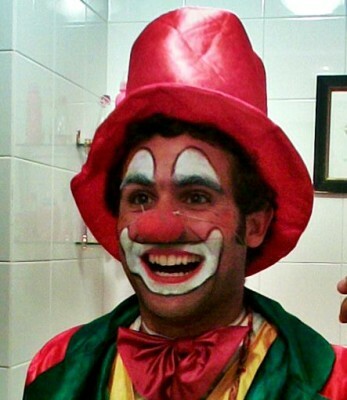 THE CLOWN SHOW – Silly, S I L L Y! 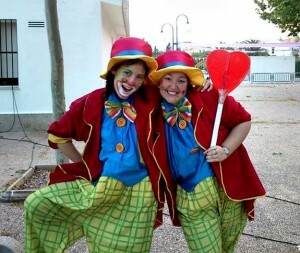 You can hire from one to twenty five clowns to perform hilarious sketches and jokes for your kids’ enjoyment, circus clown acts for children like juggling or magic, games and dancing, balloon modelling and the silliest surprises for your little guests! THE CLASSIC – Well… it is The Classic! Fun and games, face painting and balloon modelling, music, dancing, and craziness from our kids clowns! THE MAGIC SHOW – A touch of silly magic to enhance our classic entertainment. No one knows how they do it, but in the end the magic really works! Watch them struggle and laugh in this great show! 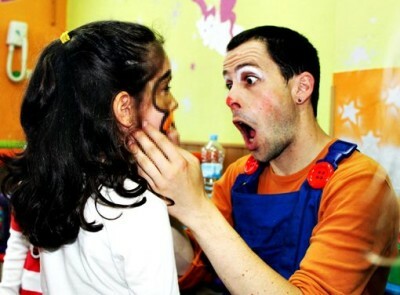 PUPPETS OR STORYTELLING – Nothing crazier than the stories that come directly from our children’s clowns’ heads! Let them enchant your kids with the most ridiculously cute stories and amazing adventures you have ever heard! OTHER ACTIVITIES – Our clowns can also do the Science show, giant bubbles, or you can hire them together with Frozen Elsa or Spiderman! Mix and Match to increase the fun! They don’t “improvise” their shows, everything has been planned and trained. They have resources to entertain kids and even adults! 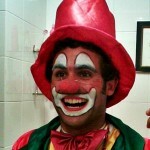 If you need a high dose of fun, hire a clown at AEIOU Kids Club! If you want to make sure your children’s event is a delightful success, full of fun and giggles, rent a clown for hire in the UK with AEIOU Kids Club! Contact us or call for enquiries, bookings or to get a proper quote for the package you desire. 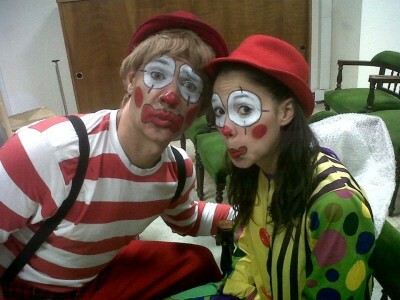 Host the party of your dreams with our Clowns for Hire – AEIOU!